Bad reviews are from people who don’t understand how it works. Subscription is through your Apple ID. You can unsubscribe any time. App is brilliant. Workouts are tough, but you can choose your own pace by selecting the same week again. Or by doing just one round. I love that it builds up in strength. Have worked with several other apps like Results and this one is by far the best. And it’s all round with workouts for beginners and experts and meals included. Its perfect to select your workout. I tried pwr, bbg and bbg stronger and love all of them. Its too bad that I cannot enter the weights in my training. Now i have to remember what i did before on that specific machine. If they can add this to the app its perfect! Zo inspirerend en leuk om te doen! 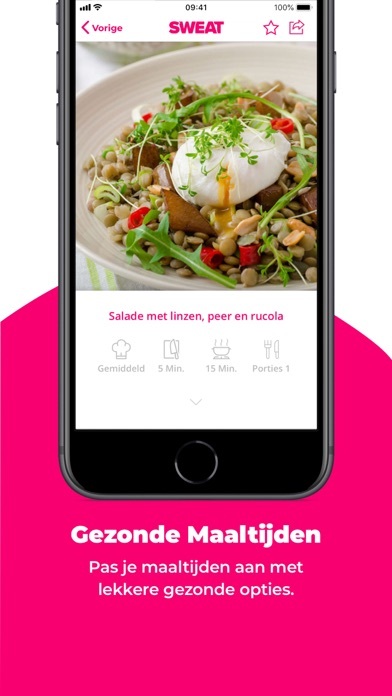 Fijne app en training erg pittig!